We love our Wooden Alphabet Blocks (click here to purchase through Amazon) and get so much use out of them. Our 3 year old has learned all of her letters mainly through this puzzle. 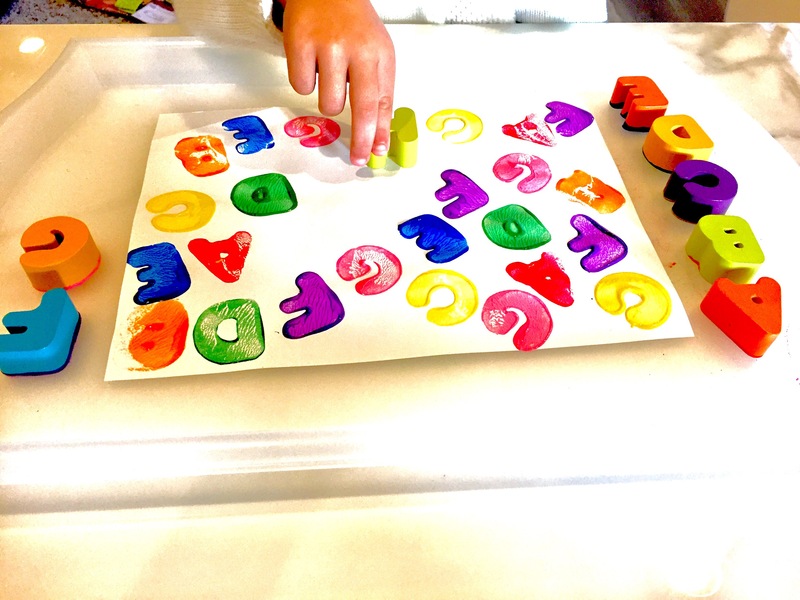 My daughter, like lots of other children, is a hands on learner and these activities allow her to hold the letters and interact with them in a fun and engaging way for her. 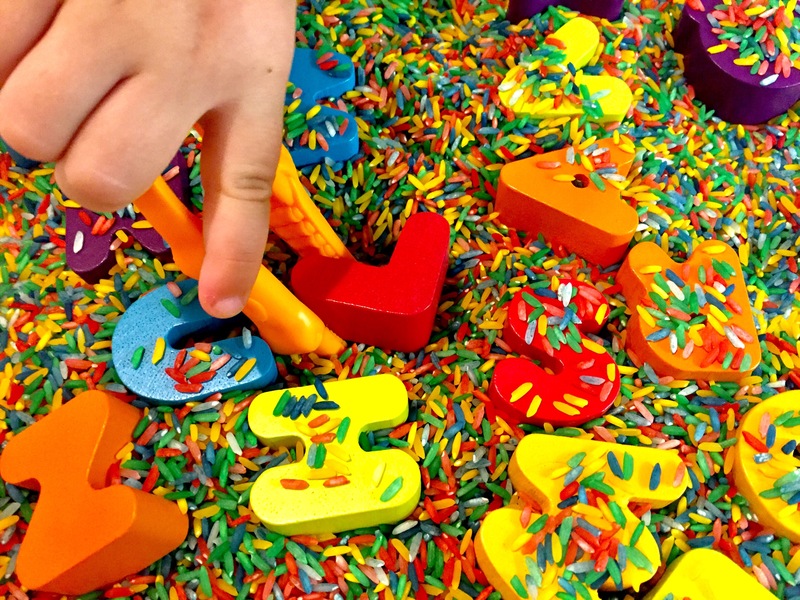 Rainbow Rice Brush: Take off all of the letters and place the board in a bin or a deep tray (to keep the rice from spilling everywhere) and add Rainbow Rice on top. Click here to learn how to make the rainbow rice. 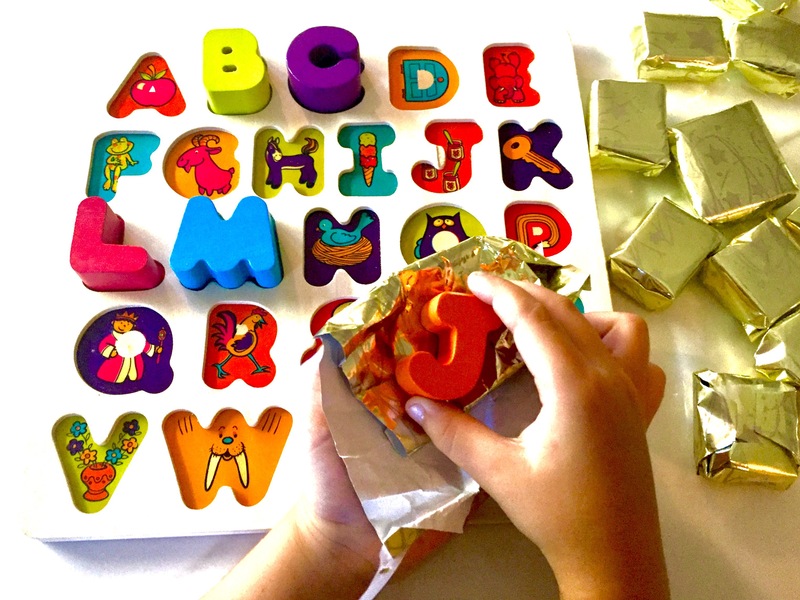 With a dry paintbrush, allow your child to brush off the rice to reveal the letters underneath. Have your child say each letter as it is revealed, make the sound and talk about the picture that is associated with the letter. Present Unwrap: I wrapped each letter in wrapping paper. My daughter was so excited to unwrap each ‘gift’. This is a great exercise to strengthen fine motor skills as well as helping with letter recognition. It really slowed down the process and helped my daughter to focus on each letter. 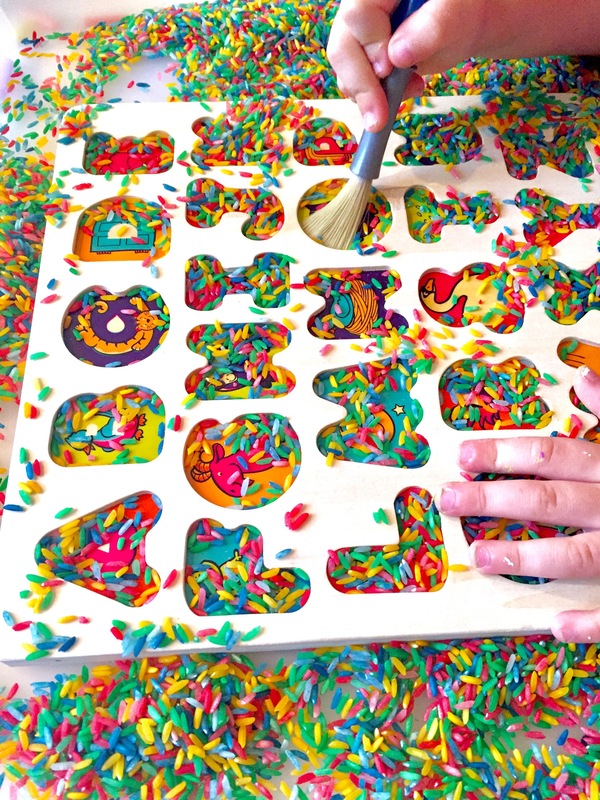 Play Doh Letter Press: Lay down some play doh on a tray and flatten it out. 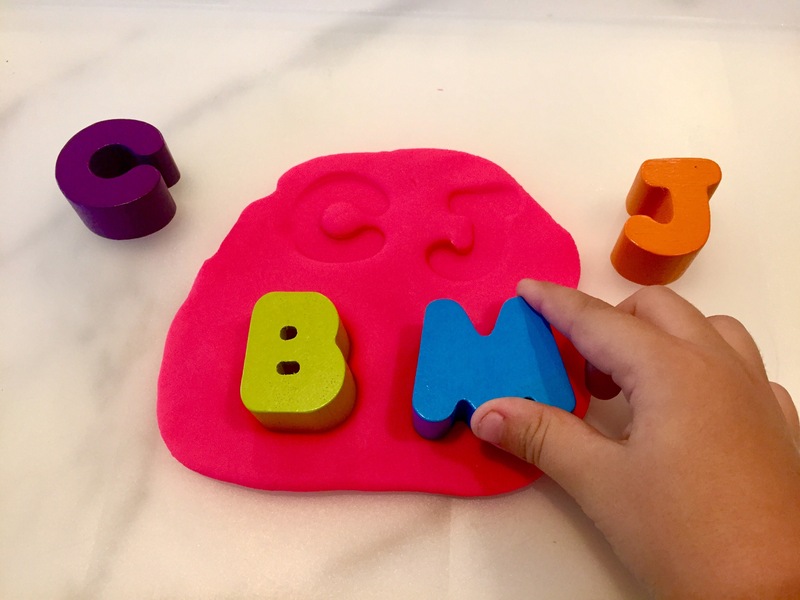 Have your child pick a letter, say the name of the letter, and press it down on the play doh to make an impression. Have them trace the letter on the play doh with their fingers to practice ‘writing’ the letter. Sensory Bin Letter Find: Fill your sensory bin with rainbow rice, directions to make the rice here, and add your letters. Use your tongs, we use ones from this set you can purchase here through Amazon, to pick up each letter and place in the corresponding place on the board. Make sure you or your child is saying the name of each letter. Letter Stamping: Just a warning, this one can get pretty messy! Press your letter into paint and stamp away. We use these washable paints (click here to order them from Amazon) and clean up with wipes an Q Tips to clean out the insides of the letters. I bought the alphabet letters so I can give them to my 3 grandsons as an educational activity while they are visiting.